As I’m starting to prep the food for Thanksgiving I thought I’d stop before I was knee deep in cooking and cleaning to have a Mary moment. Remember Mary and Martha? Martha was knee deep in cleaning and cooking while Mary just sat and hung on Jesus’ every word. I’m taking a Mary moment before I turn into Martha. Meaning, I have made myself sit down and do my devotional this morning. I wanted to make sure that I was grounded in the meaning of the holiday before tomorrow. It wasn’t a long devotional, a matter of fact, it took me all of about 3 minutes or less to read it. It just reminded me, that God is God, He made us, He loves us, and not forget that and be thankful for all he has done. I’m going to take you on a journey of this year so far as we’re coming to the end of another year. Sometimes, we may not feel very thankful because life is hard, but it’s so important to be thankful even if all you can be thankful for is the breath in your lungs. Hang in there! Over the past few years, our family has dealt with finding out my husband had kidney cancer. It was bad when they found it and he lost a kidney and 10% of the other kidney. Thankfully, he has 90% of the other one left and he has been doing great! We’ve been through 3 shoulder surgeries, 3 knee surgeries, a hysterectomy, and three cancer surgeries. Did I miss one? Not to mention a year of rehab for my knees which I’m still working on. I was officially diagnosed with Ehlers Danlos Disease to match my youngest daughter, Emily. Whew! What a list! Then there was a scare for me, in October. I had a mammogram and I kept waiting for my letter to tell me all was well. I never got my letter and then the phone rang. They found something and I needed to come back for more imaging, followed by the doctor telling me that I needed a biopsy. I was terrified. This is the same breast that about 20 years I had to have a lump removed. That lump turned out to be scar tissue from plugged duct infections from breastfeeding. This time I was even more scared. I didn’t even hardly tell anyone that I was going through this except a few people that I knew would pray. It all happened so fast. I was crying before the biopsy even began and thankfully the nurse and doctor were amazing. I kept telling myself it was going to turn out to be nothing and praying that it would be nothing. I just didn’t know if I could go through one more thing right now. Graciously, God answered our prayers and it turned out to be normal fibrous tissue. Please get your mammogram if you haven’t gotten one yet! On the flip side of all of this that has been going on the past few years, I’ve grown and my family has grown. We are so tougher than we think. We are stronger than we realize. We are not perfect, so not perfect. I grumble about my living furniture not matching and the fact that it’s hand-me-down and so not what I would have picked out, but we have furniture to sit on. I fuss because we’ve been under construction for over 10 years and I can’t see when we’ll ever get finished, but we have a house to live in and we’re warm and cozy. I fought with my blog for over a year due to a severe hack that I thought I would never get rid of, but I’ve learned so much through the process that I would have never learned otherwise. This year, I have tried to become more thankful and appreciative for what I have. It didn’t always work, and there were days and weeks when I whined like a toddler. But that is part of the process, isn’t it? You have to teach yourself to be thankful. So if you find yourself in a place this Thanksgiving where you don’t feel very thankful, give yourself a break and find one thing. It could be something really small and hold on to that. Let God know you are thankful for that one thing or for lots of things. I am thankful that I don’t have cancer. I am thankful for a healthy family, even though we tend to go through a lot, it could always be worse and we’ve already seen worse. I’m thankful for my home and a new relationship with my dad that was decades in the making. I’m thankful that Jesus gave me life and that I get to share our life with you. I am thankful for this blog. This year, after everything we have been through, I am just thankful. Now, it’s on to cooking and cleaning and another parade! Don’t forget to take time before everything and breathe in the holiday and spend time with Jesus and tell Him all you’re thankful for. Enjoy the holiday this year. 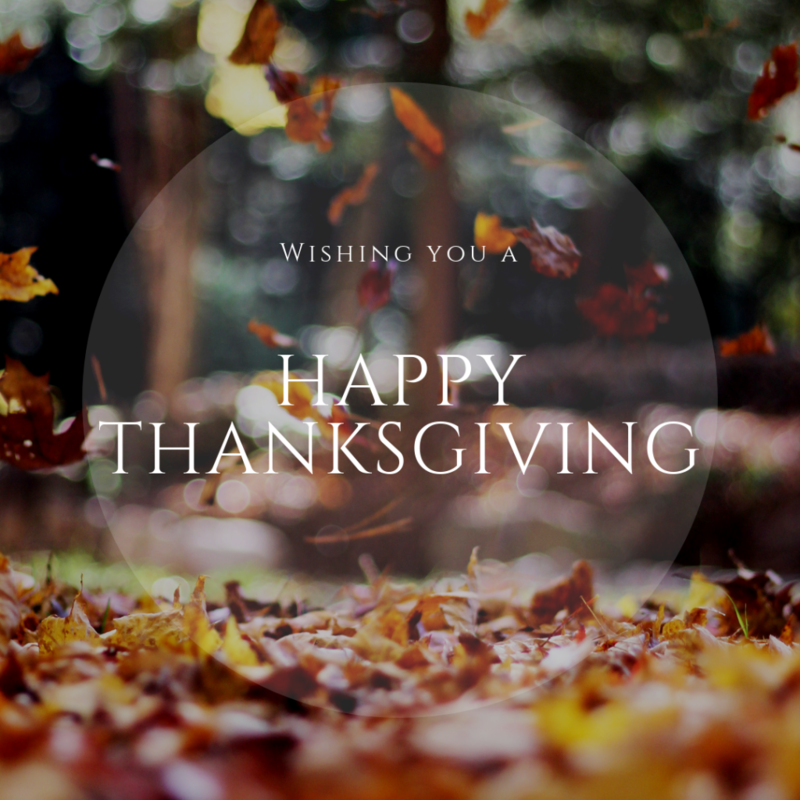 I hope you have a blessed Thanksgiving!